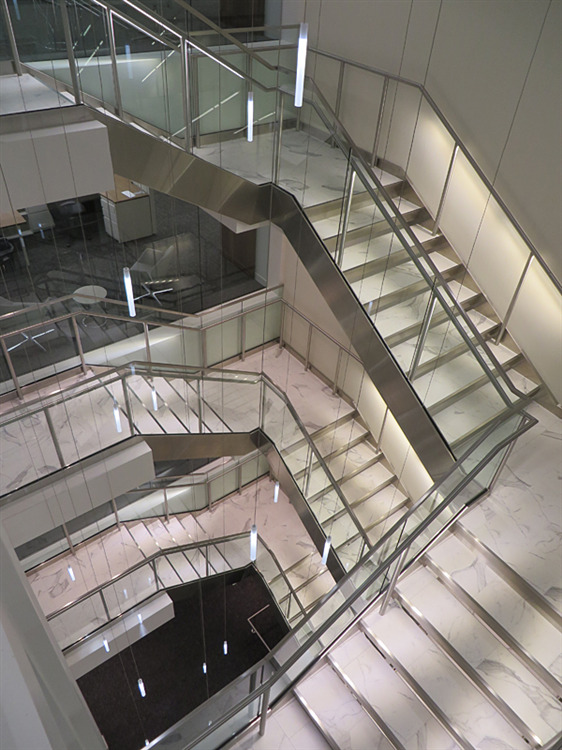 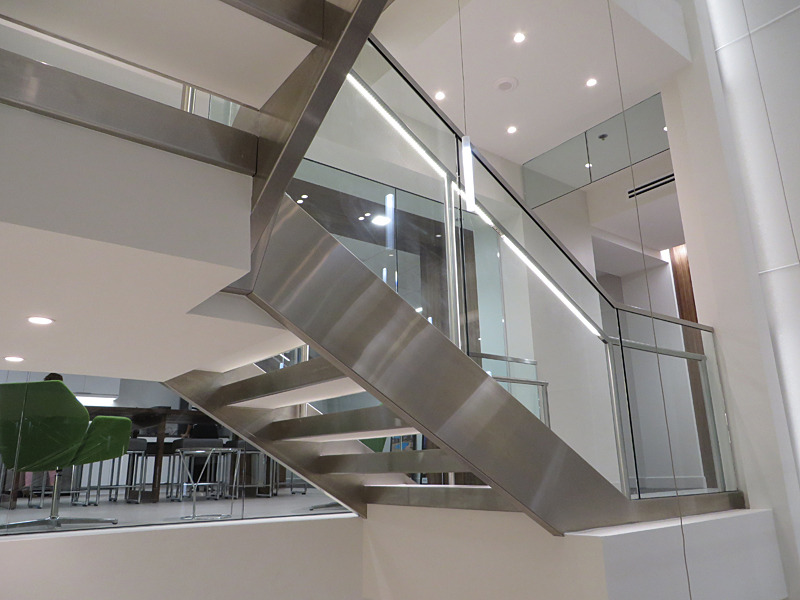 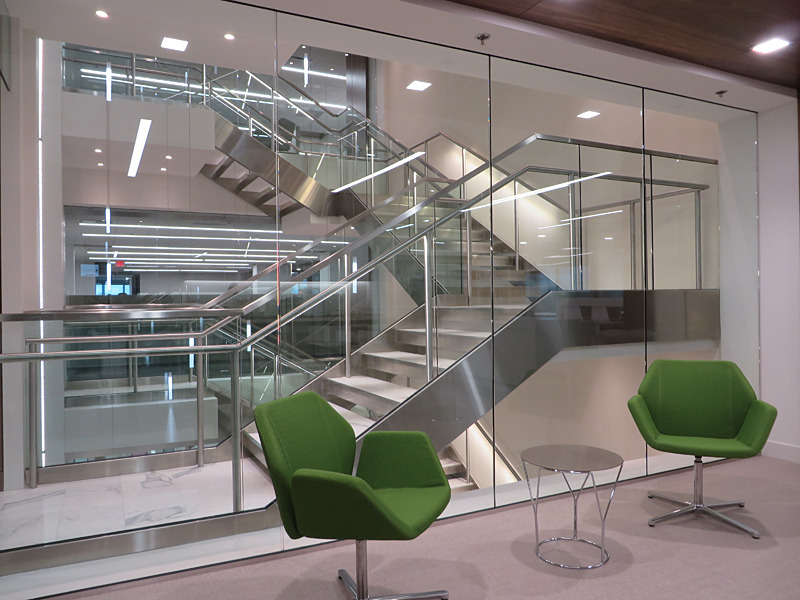 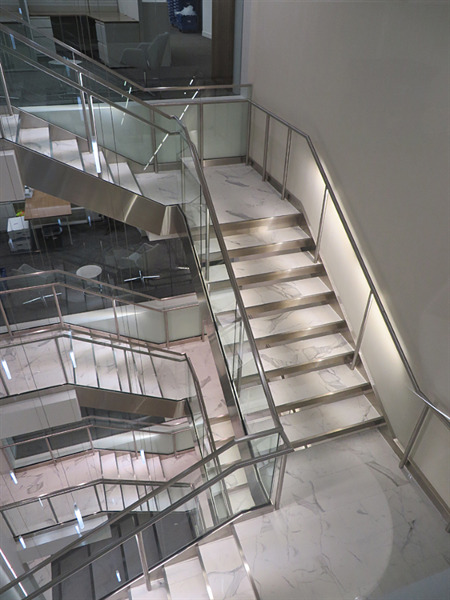 Decorative metal stair featuring illuminated stainless steel handrail. 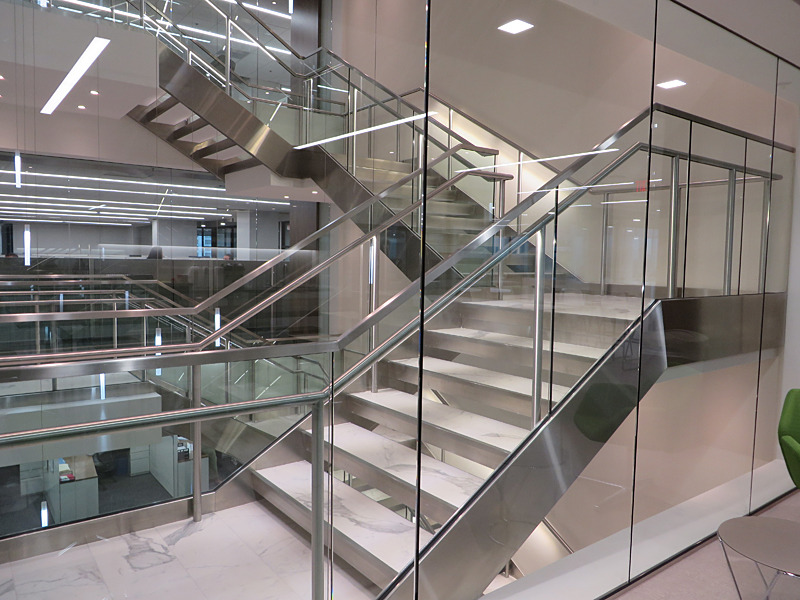 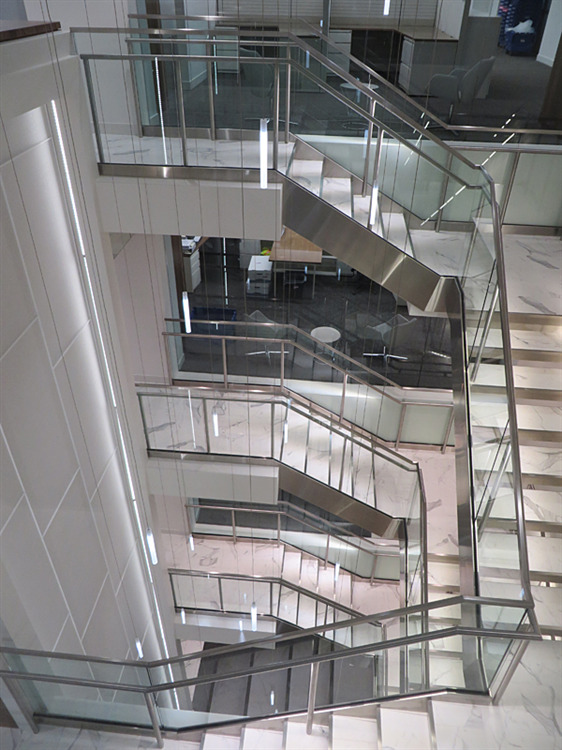 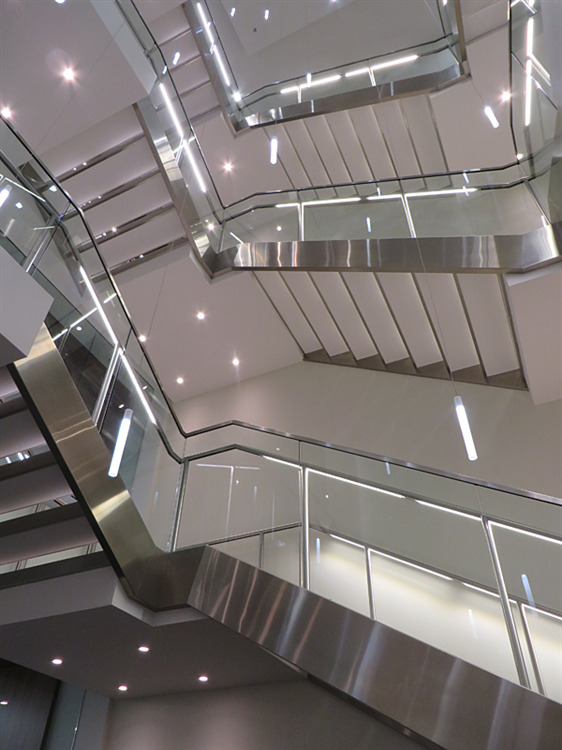 Stainless steel stair parts are custom fabricated for a quality finished product. Stainless steel decorative metal stair featuring illuminated stainless steel railing.